I really enjoyed reading this. Being a fan of most sports, I always like reading stories involving them. But this story is more than just baseball and romance. There is some intrigue and excitement involved as well. Holly is hiding from the mob since she agreed to testify against her former boyfriend, a gangster in the mob. Dan Anderson is a star major league baseball pitcher. When they meet there is instant chemistry. But can their relationship survive her testimony and a witness protection program? I couldn't put this one down. Great job. I love baseball book. Sports romance are a favorite of mine. After reading Jean join him series about the Kings, a football series, I found this baseball series. I like all the date and game details but occasionally some of the slang and details seemed off. Mind you I've played softball for 20 years and coached baseball and softball for 25 years. So I'm really picky about my sports stuff. It could just be my California location and the slang and teems we use here. The story line and characters are great. Holly is a character I could feel for no Dan is someone I could fall in love with. Both honest hard working and sweet. I'm looking forward to reading the next book in this series. I wish i could give this well written book more than 5 stars. This book is about a baseball player , a special women a truly wonderful story of love. This book has wonderful characters . A story line that has your emotions rocketing from page to page. Love is hard but having to over come certain things and waiting can be a test of time. Join Dan and Holly as they discover how much time it takes to have true love. I liked the overall storyline, just couldn't get a feel for the characters. It was distracting by calling Dan Alexander Dan Alexander or the pitcher all the time. The same with Holly. It was either the hot dog girl or the young woman or the young witness. 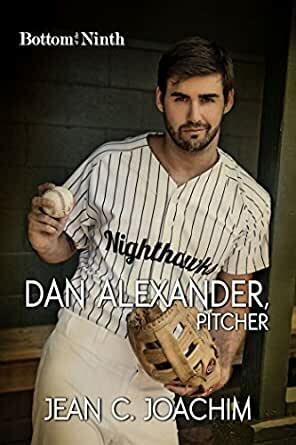 We KNOW she was the witness, we KNOW he is Dan Alexander, the pitcher. A few more of her, him, his, she etc would have flowed better and not turned them back into outlined characters. Well at least to me. The characters are warm, the story is good. A little action, A little heartbreak, and lots of love. Even some humor thrown in!